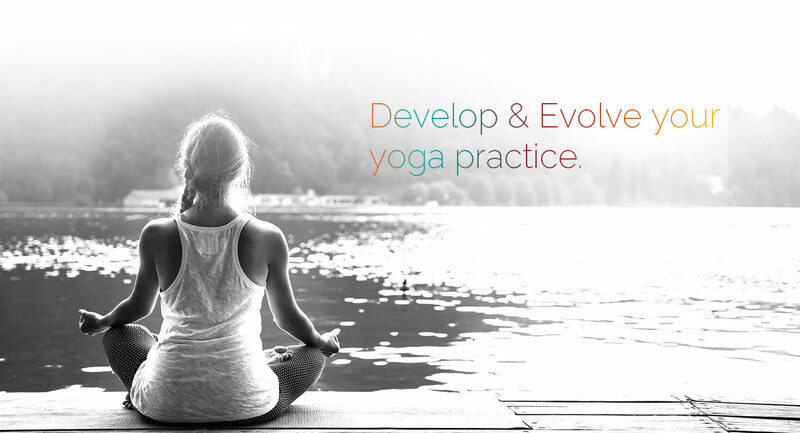 Yoga means “union” or “to yoke” in Sanskrit. It drives from the verbal root, yuj which means “join”. It is the bases of the English word yoke, meaning to bind together or join. The common definition of yoga is the union of the individual soul with the universal spirit. Yoga is both the practice and the experience of the ultimate freedom of the heart. It is both a path to spiritual fulfillment and the experience of fulfillment itself. Through the yoking of our bodies, minds, and hearts to a higher power of existence, we can awaken the shakti, or spiritual energy hidden within, and our highest capabilities are revealed. The more often we experience the state of union through our yoga practice, the more we become established in an elevated vibratory state of consciousness. So when we are confronted with stressful and challenging events in our life, which would normally knock us out of alignment, we are able to sustain our yogic state. We are then better able to respond to difficult situations. how we choose to act. Simply put, it is our attention and intention that changes how we see the world. In life, we will experience fluctuating movements of Rajas or Tamas, but as we spend more time moving toward a Sattvic state, we’ll end up being happier and healthier. Sanskrit is the sacred language of India and literally translated Sanskrit means “perfectly constructed speech”. Sanskrit is the language in which mantras and relevant sacred scripts are written and spoken. It is also the language of the true names of the asanas (postures), the third stage of yoga. A Surya Namaskar sequence offers the perfect balance between strength and flexibility, contraction and expansion, movement and stillness as the body goes from upside down to right side up, moving forward and back and from side to side. Yoga’s salute to the sun awakens and warms the whole body, preparing it for asana practice…the body moves through it s entire range of motion, linking the poses together on the wave of the breath. 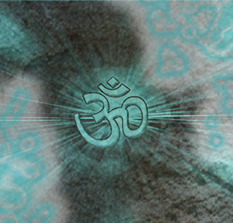 The Sanskrit symbol for OM (AUM), the primordial syllable exemplifying the vibrational power of sound.